A customer in Otley contacted us looking for a solution to an awkwardly sized room in his beautiful, old cottage home. 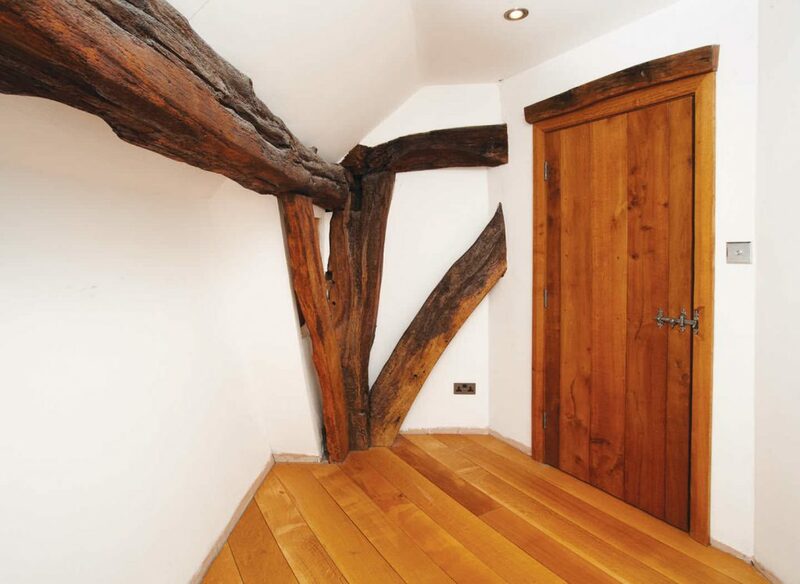 The room featured distinctive beams across the walls, which were protected under the listing of the property. This meant that, not only did we have to design an elegant and functional room, but also had to create a space that disguised the beams without spoiling them in any way. The room lent itself perfectly to a walk in wardrobe. While it was too small to be utilised as a spare bedroom, it provided an ideal area for additional tailored storage. 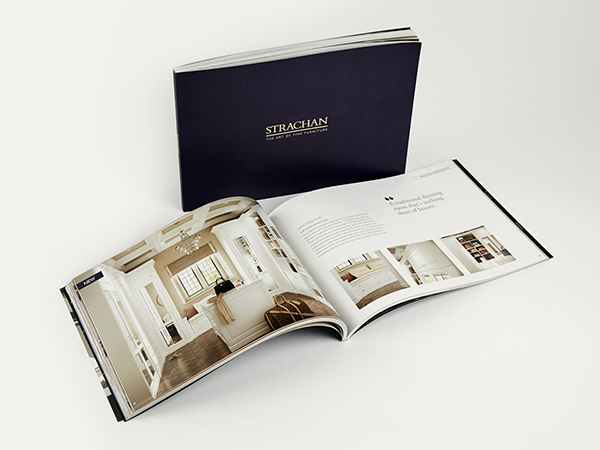 The Strachan designer made efficient use of the room’s existing features, such as fitting hanging space beneath the beams. 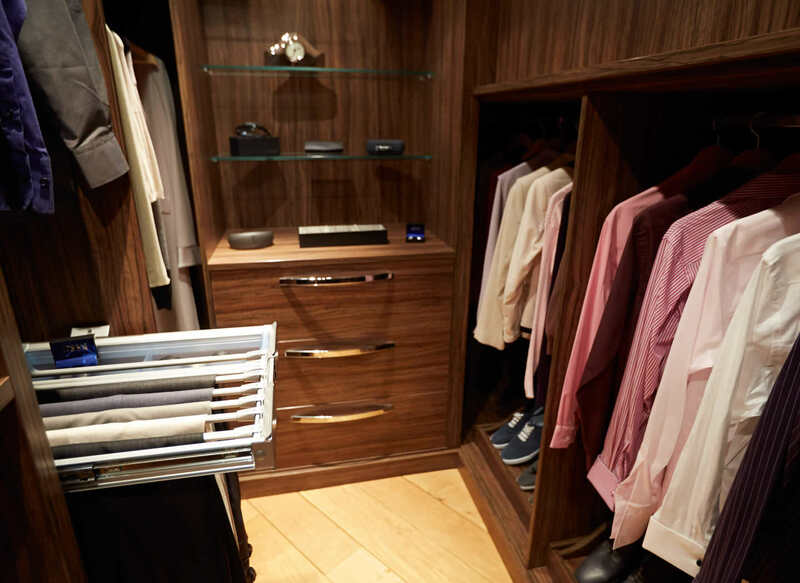 With a wide selection of informal wear, our customer needed a dedicated wardrobe for his shirts. In order to increase floor space without compromising on storage, our experienced designer chose to include lower units with hanging rails that extended deep into the wardrobe carcase. This resulted in a hidden area that housed more items without taking up additional room. Functionality was a priority. We therefore chose to include a number of slide out features. These offered the benefit of a dedicated space for every item, with the ability to easily store them out of the way when not in use. 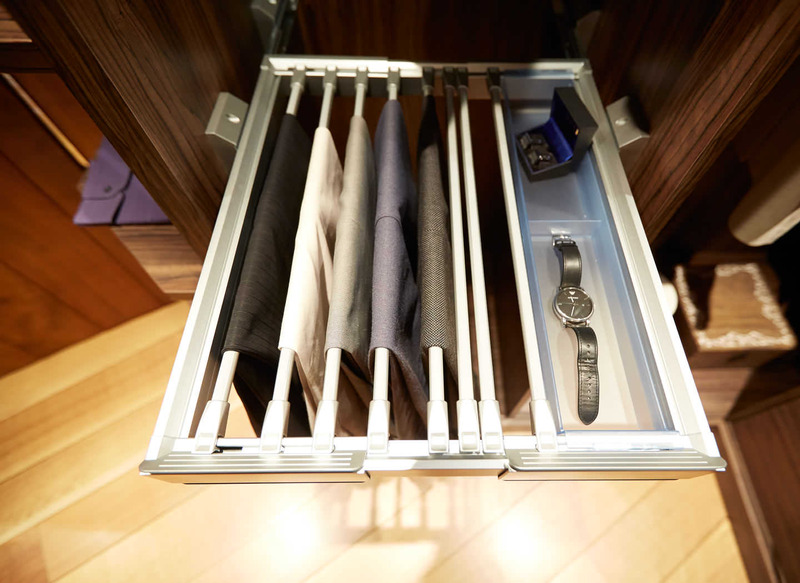 We installed a full depth shoe rack beneath a hanging rail, in addition to a pull out trouser rack, where the customer could not only keep his trousers but also ensure they remained in pristine condition. It was important that the customer added their own stamp to their new bespoke walk in wardrobe. As well as choosing our Romano design in a rich Dark Olive finish, the client decided to include a full-length mirror for added functionality. 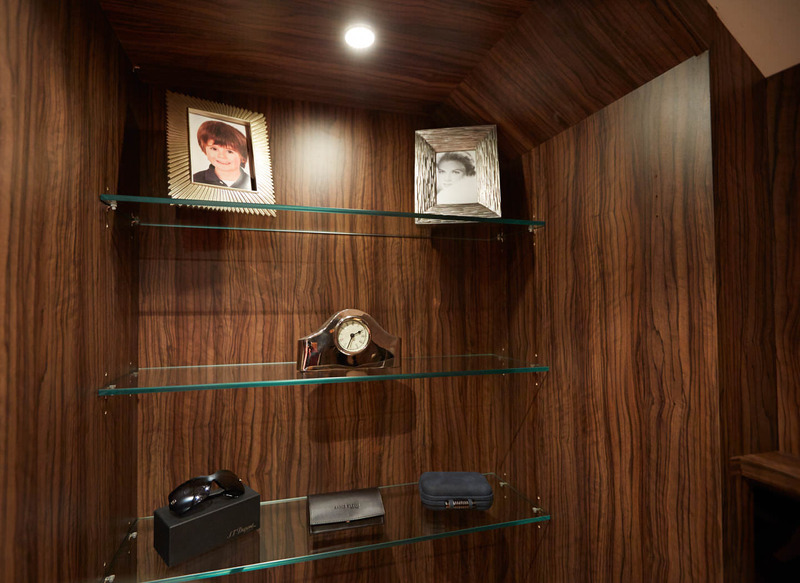 LED lighting and glass shelves were also fitted, creating an elegant focal point where treasured items and framed photos could be displayed.